At first, there was only one Beacon Show. Now, there is two. The first, does not have any tickets left. Yep, that’s right.. Joe Bonamassa has sold out the Beacon Theater in NYC. 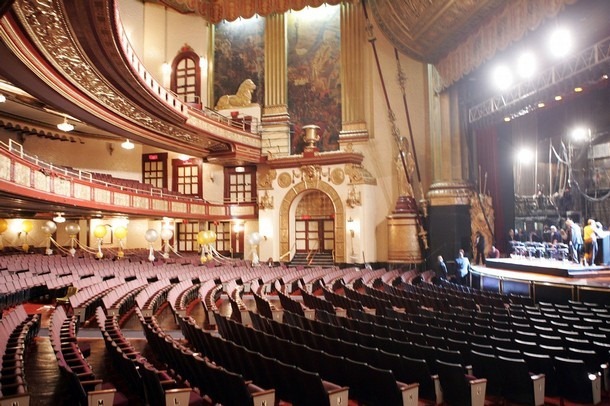 The Beacon Theater is one of the most well known venues in New York and in the United States. The Beacon Theater is home to many great musicians, probably mostly well known for the Allman Brothers. The second Beacon Theater show is Friday, November 4th. Tickets for the show go on sale tomorrow via Ticketmaster. If you missed out on tickets for the first show, now is your chance to get tickets. A lot of the tickets for the first show were sold through the RAH PBS Specials. Hope to see you there!